Kenneth Aubrey is the spymaster at the British Secret Service. It is his role to decide who goes where for which mission. It is his decision which person is the best fit for whatever strange assignment might occur and it is usually he that comes up with the plans in the first place. Aubrey has been doing this for a very long time and while he can and does make mistakes, he is right far more often than not. This collection of 16 books might just as easily have been shuffled into three different series. 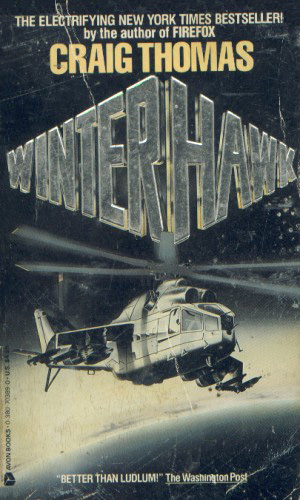 Firefox, Firefox Down, Winder Hawk, and A Different War deal largely with the actions of an American pilot and operative named Mitchell Gant. Gant is a former USAF recovering from trauma suffered in action in Vietnam. His terrific skills at flying fighter jets and his almost native proficiency with Russian make him the perfect candidate to steal a revolutionary Mig-31. In three of the adventures about Gant, Aubrey plays a pivotal role in events. 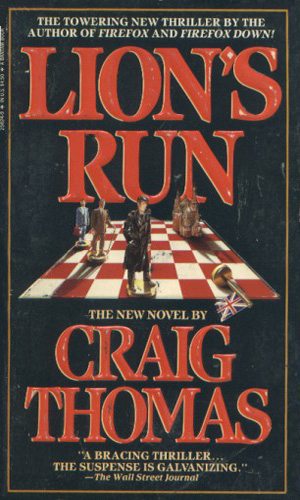 Sea Leopard, Jade Tiger, Lion's Run, The Last Raven, A Hooded Crow, Playing With Cobras, and Slipping Into Shadows all center around the highly capable British agent Patrick Hyde who becomes Aubrey's number one operative and, in one book, his eventual savior. And the third group would be the remaining books, several of which deal with Aubrey working as a partner with or controller of another agent. 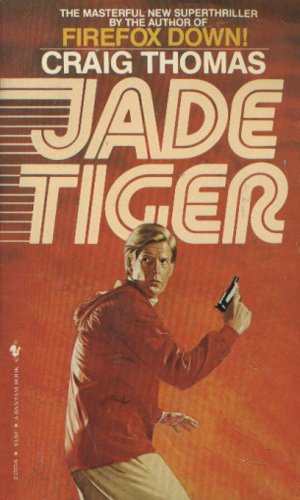 This body of work of espionage novels might have entitled the Aubrey sphere of influence. 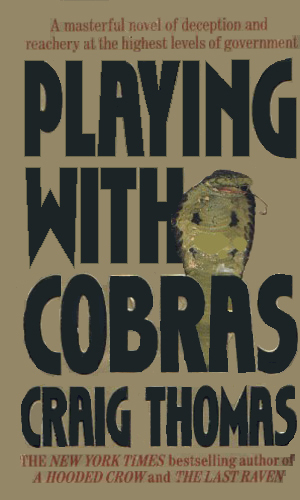 While he is a main character in most of the adventures, he has a much smaller role in some and none at all in a couple. But even when he isn't around, his influence is still present. He usually runs the show that Gant and Hyde star in. He has other productions in which different players operate. For that reason, he is given the overall title role. At the beginning of the series, Aubrey is a Deputy Director of the Service. He will attain the higher position during the course of events but in every instance he is at work, he is a true master at the spy game. He isn't gentle with his people, expecting and getting the best from them, but he hates to lose any. Even more, he hates to lose, period. Aubrey is not a young man during the late 70s through early 90s when the adventures generally occur. He was an agent in British Intelligence working behind enemy lines in 1939, making him likely to have been born around 1915. After the War he remained in his job as he switched from fighting Germans to chasing Russian spies usually after nuclear secrets. As he aged, his days in the field grew less and his command over younger agents took over. Even in his 60s and 70s, though, his passion remained as hot as ever when it came to catching those who might threatened his homeland. Although Aubrey is only mentioned towards the end and the main character of the book only appears once again in the series, I include it. 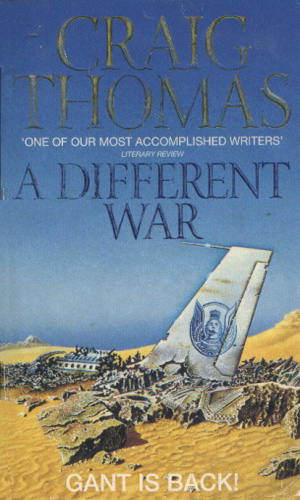 An airplane is hijacked by arab terrorists financed by an American with his own agenda. Codenamed Firefox, the Soviet MIG-31 is a thought-controlled warbird able to eliminate anything else in the air. 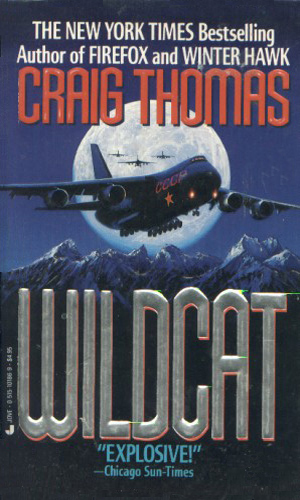 Mitchell Gant is a rengade American pilot who is the perfect man to fly it out of Russia, if Aubrey can manage to sneak him in. During WWII, Richard Gardner was captured twice by the Nazis and set to die. Both times he was lucky to escape. Now 19 years later while visiting in France, he is again a target. Aubrey plays a critical role. Acting independently, a key KGB leader and Aubrey discover there is a plot to disrupt the SALT-3 meetings and kill the current leadership of the Soviet Union to force a war with the West. 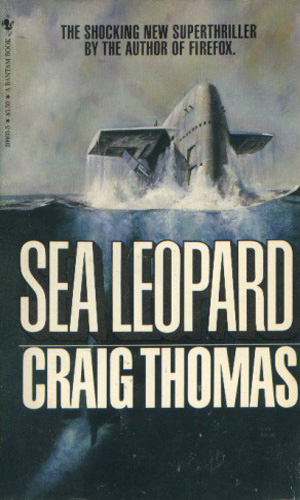 The Sea Leopard is the codename for a secret anti-sonar device, undergoing trials in the North Atlantic when it is stolen by the Soviets. Aubrey assigns Ethan Clark to get it back. Is one of the German architects of a new treaty that will help collapse the Iron Curtain really a Soviet agent intent on ruining peace? Hyde and Aubrey travel about the world to find out. 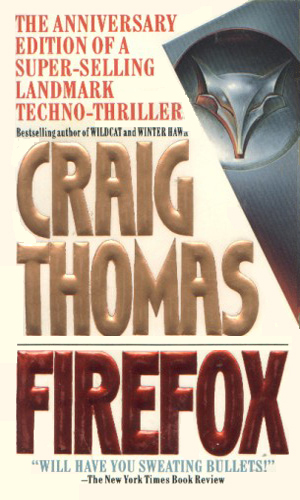 This book takes place exactly at the end of "Firefox". The Mig has been damaged in the escape and Gant must land it. Choosing a frozen lake in Finland, he is caught by the KGB. A Russian defector makes the startling claim that Aubrey, newly appointed head of MI-6, is really a double-agent. 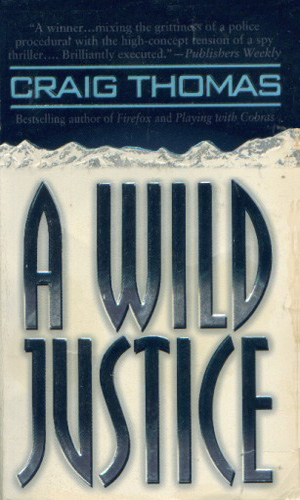 When Aubrey is arrested, Patrick Hyde decides to go on the offensive to prove his boss innocent. While Aubrey is not in this adventure, Mitchell Gant is. An American spy gets word out that the Soviets are planning to launch a laser weapon into space. Gant is sent to get the spy out so the details can be learned. When the East German defector that Aubrey was bringing back dies in an accident, Aubrey is blamed by a vengeful woman, who happens to have the power of the Stasi at her disposal. Hardliners of the falling Soviet Union and a radical section of the CIA worry about the demise of the Cold War. They shoot down the wife of the Premier hoping to inflame tensions. 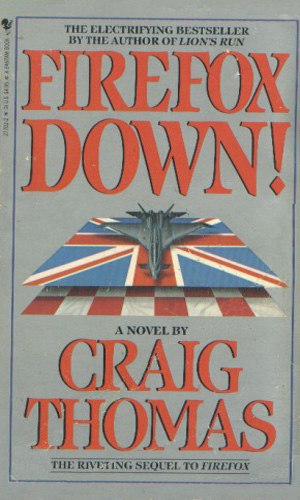 A British ex-pat finds a downed plane in southern Africa, holding stolen British electronics and a dead KGB agent. Trying to get the information to Aubrey costs him more than he could imagine. An up-and-coming Indian politician, bankrolled through drug dealings, eliminates an actress who learns his secret and frames her boyfriend, a fellow agent of Patrick Hyde. Things get tougher when the baddy becomes Prime Minister of India. 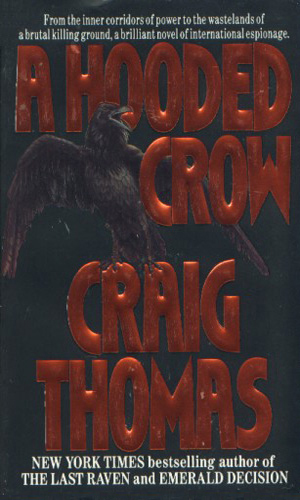 An ex-CIA agent's hunt for his brother's killers eventually takes him to Siberia. 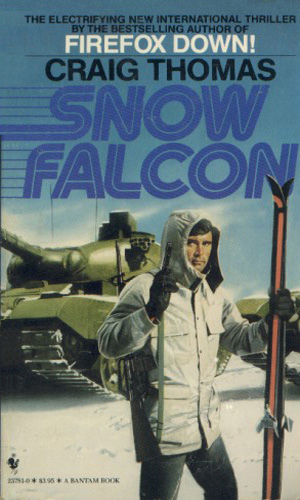 While there is not even a mention of Aubrey in this novel, I include it because it has does have Alexei Vorontsyev, the KGB agent who worked "with" Aubrey in "Snow Falcon". Mitchell Gant is back, a civilian now and working as an airplane crash investigator. The CEO of a major U.S. airplane manufacteror wants help proving a recent crash of a new plane was commercial sabotage. Aubrey lends a hand on the British side of things. Patrick Hyde, now living in Australia, helps their intelligence agency investigate drug smuggling from Burma. He enlists the assistance of Aubrey but the two learn there is a lot of power in drug money. 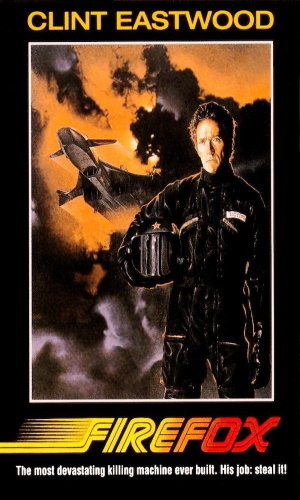 Mitchell Gant is pulled in by Kenneth Aubrey to sneak into the Soviet Union and hijack their last jet fighter, the MIG-31 Firefox, which can use a pilot's thoughts to control it. The trouble is he needs to think in Russian. 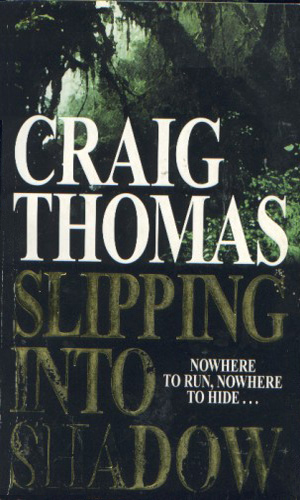 It really stuns me that the incredible talent of Craig Thomas was not appreciated as much in the U.S. as it should have been. 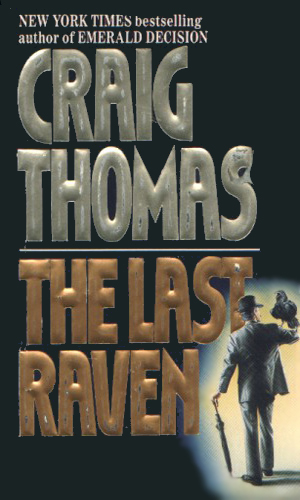 While many of his books did make the bestseller lists, his praises have not been sung as loudly as a contemporary like LeCarre. And they should be. 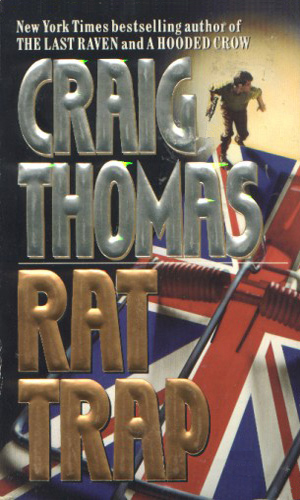 These books are not only Class A espionage novels, they are Class A novels. The people are interesting. The locations awesomely described. The plots have enough twists to keep them interesting without head-scratching at the end wondering "where'd that come from?". The prose is excellent. 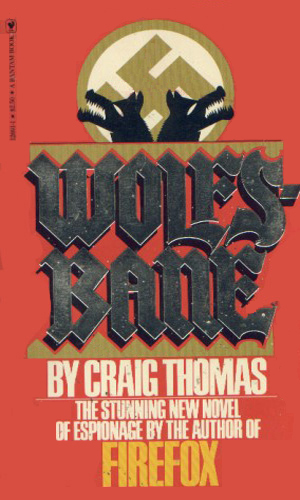 My apologies, Mr. Thomas, for the blindness of a lot of readers. You deserve so much more.